Especially with complex production processes, it often comes to inefficiencies. 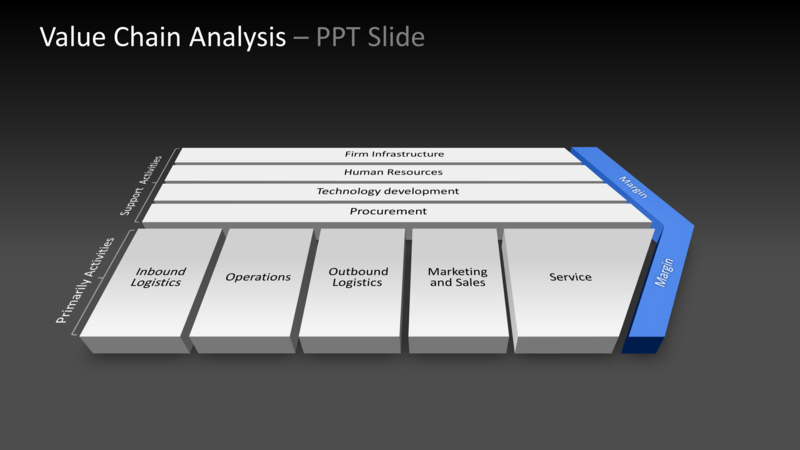 A value chain analysis helps you to identify and eliminate them. Learn how to create a value chain and how to proceed in the subsequent analysis, in this article. A value chain is a method for strategic analyses of manufacturing processes for a product or service developed by Michael E. Porter. It reveals which proportions of individual development departments contribute to the profit margin. In addition, a value chain analysis reveals weaknesses in the production process. 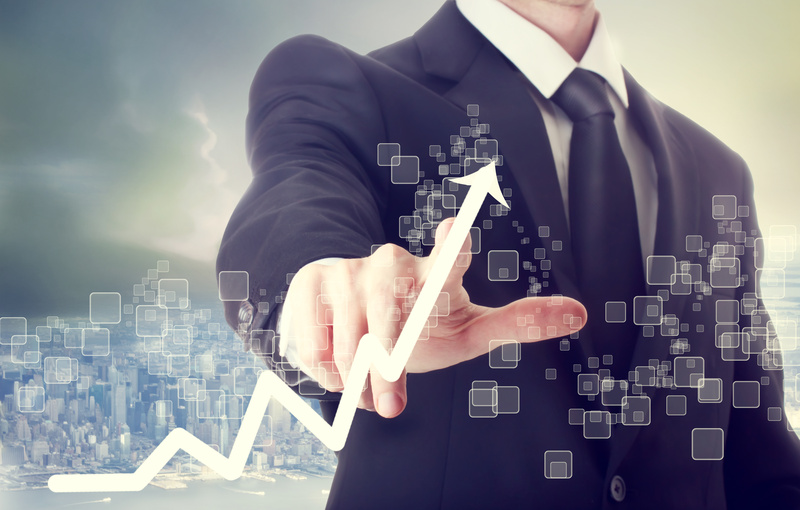 By eliminating these you increase your margin and secure an advantage over the competition. For example a car manufacturer using a value chain analysis can detect inefficient work in certain sections of its production. This could be caused by waiting times that arise when certain sections of the production are then not coordinated well with each other. By eliminating this problem, the car manufacturer can increase the production at the same cost and thereby increase the profit margins as more cars can be produced in the same time frame. In addition to the internal (horizontal) for the overview of a single Company there is also an external (vertical) value chain, which classifies the individual operating as part of an entire industry. Let’s once again consider the example of the car manufacturer. The manufacturer obtains individual parts from supply companies and installs them. The horizontal value chain in this case comprises the car production from delivery of the raw material to delivery. The vertical value chain however classifies the car manufacturer as part of an industry, which includes all steps from extraction of raw materials to the supplier companies through to local car salesmen. The individual elements of a value chain can be divided into two areas: primary activities and support activities. Primary activities are all processes directly involved in the value chain, logistics, production and customer service. Supporting activities however are not directly linked to the production process, but provide the framework conditions for this. These are the infrastructure of the company, the employees, expenditure on research, development and purchasing. Both direct and support activities can be subclassified for further analysis. Through a detailed listing of the value creation process contributing factors you can detect potential weaknesses and inefficiencies your production process. These results concrete ways to optimize and by their practical implementation you can make your production processes more efficient and thereby gain an advantage over your competitor. With regard to the optimization of production processes, two strategies have proven: the low cost strategy and the differentiation strategy. With the low cost strategy the margin is increased by economization in the production process, checking the individual activities of the value chain and potential savings. However, the aim is not to reduce costs at any price because the savings should not affect the quality of the final product. The car manufacturer from the example could try to buy his raw material cheaper or make its production process more efficient, to achieve the same result with less effort in terms of material and manpower. However, no loss in quality should be accepted. In the differentiation strategy, a competitive advantage is sought by emphasizeing special characteristics of a product or service that differ from those of the competition to stand out. Here, individual elements of the value chain are analyzed in terms of differentiation potential as well as the cost required for this purpose. Based on the results of the analysis, a strategy is being developed which will result the greatest possible differentiation at the lowest possible cost. The costs for the differentiation must not be higher than the associated markup on the sale. A carmanufacturer could be distinguished from other manufacturers by lowerfuel consumption and other special features of its vehicles. 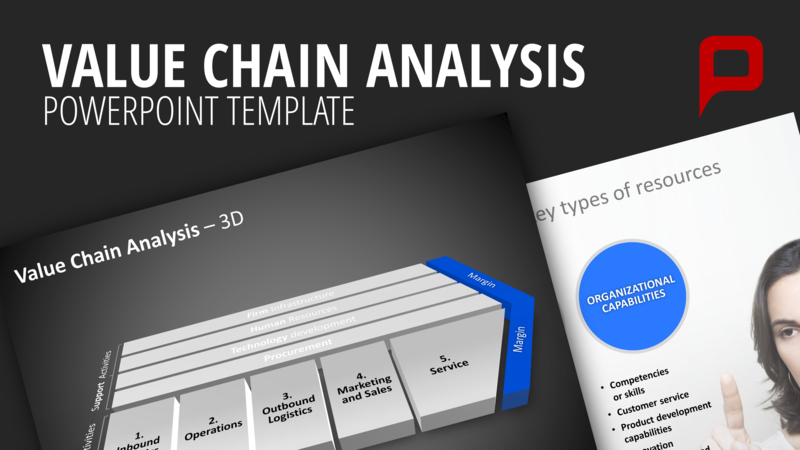 In our shop you will find high-quality PowerPoint templates with which you can easily create and present value chain diagrams. 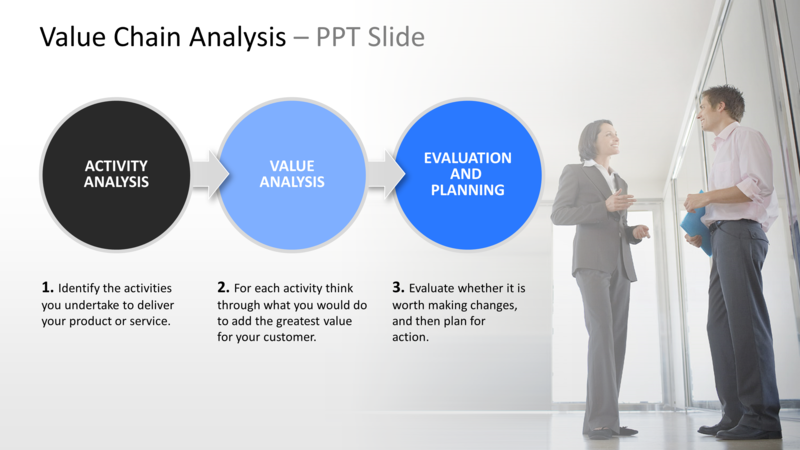 In addition, the template set contains a number of helpful examples for the practical implementation of a value chain analysis.